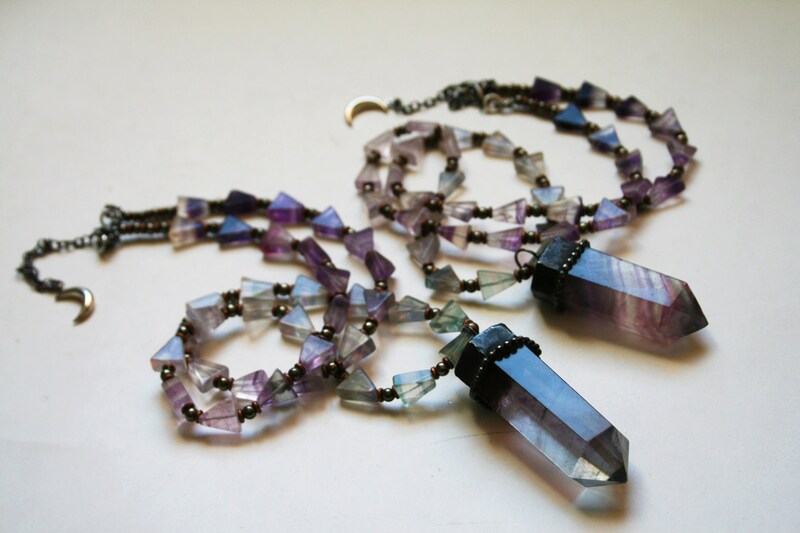 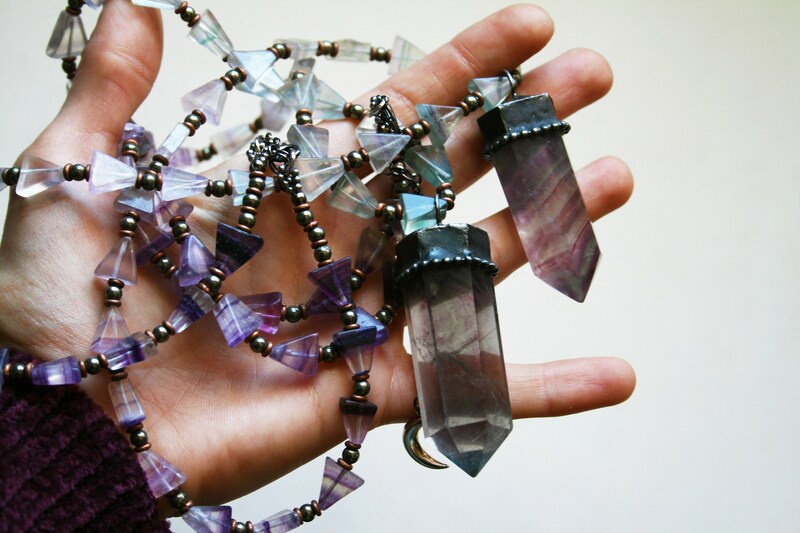 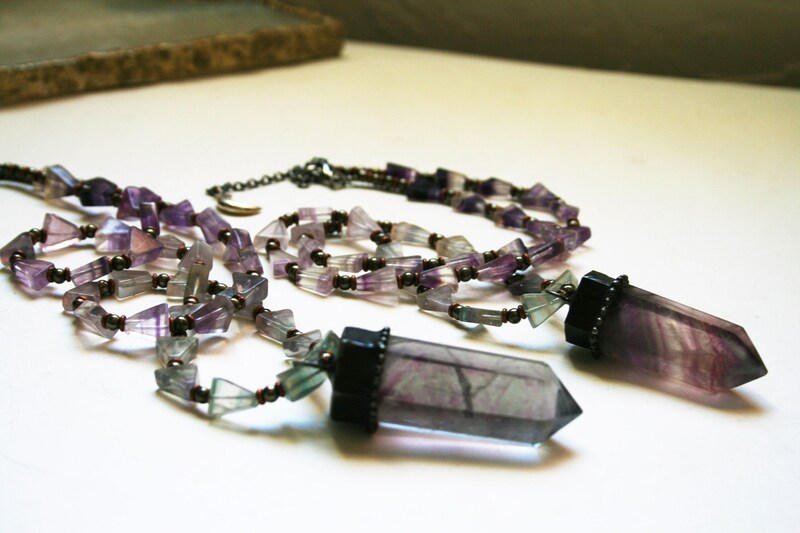 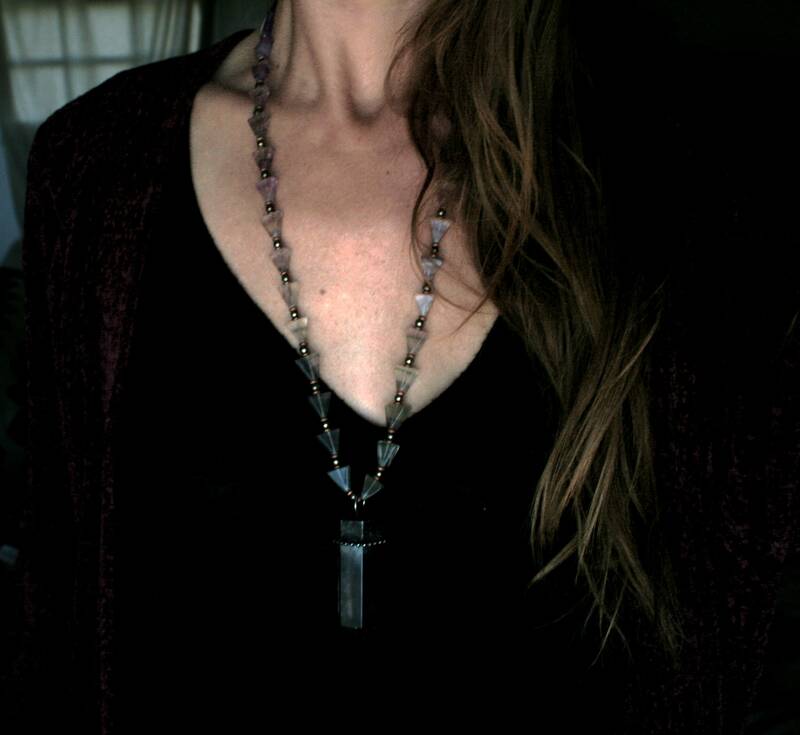 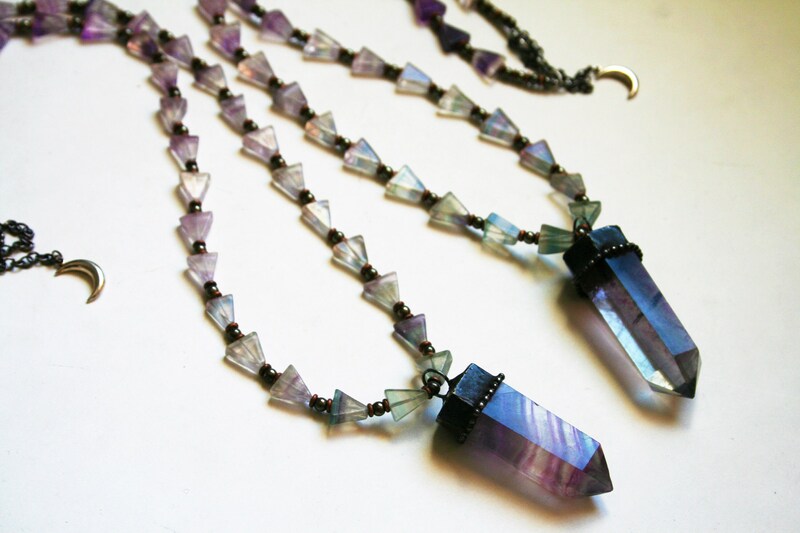 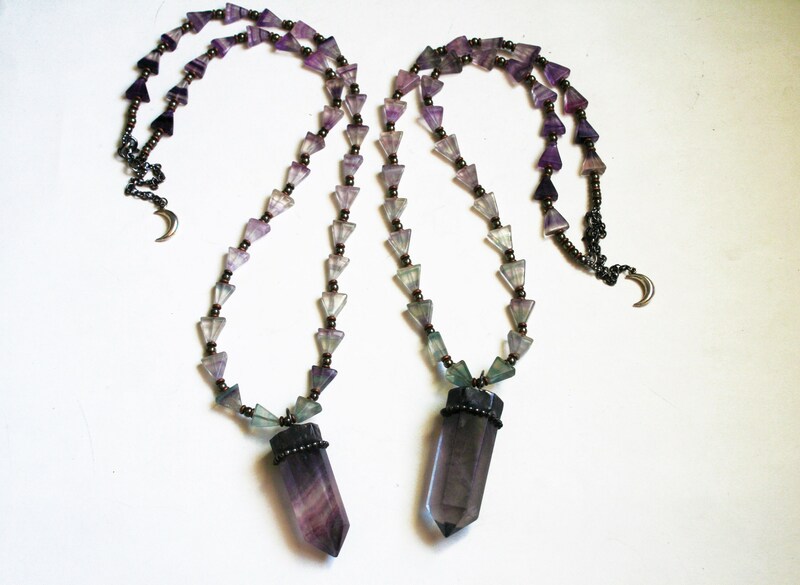 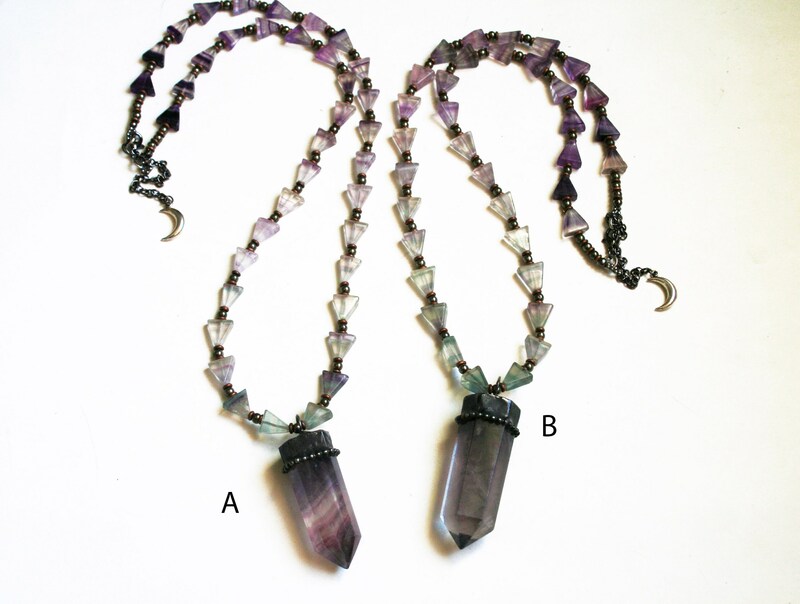 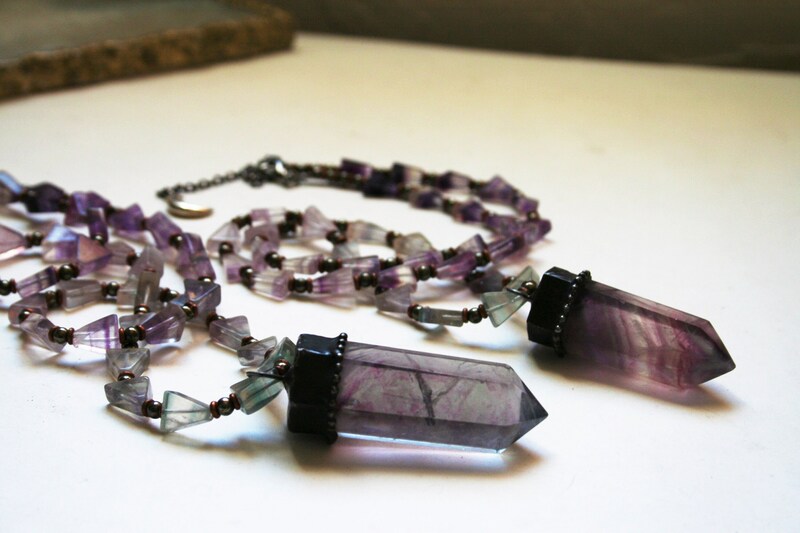 One necklace featuring a large fluorite crystal point, either a solid neutral purple/green combo or a stripled purple multi-color point, which has been set in a handmade artistic silver alloy solder setting, hanging from a handmade strand of rainbow purple, clear, and green fluorite triangle cut beads, pyrite, and mixed metal new and vintage african trade beads. 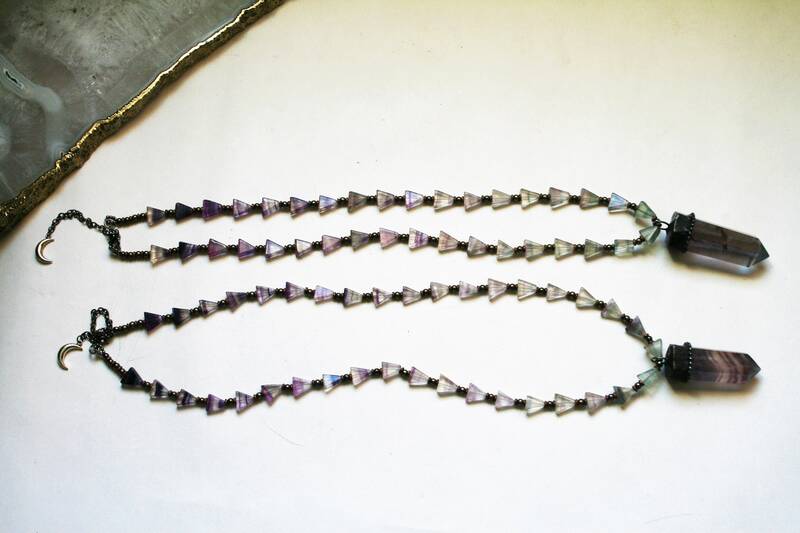 Necklace is adjustable between about 26.5" - 29.5" long, with a lobster clasp and a silver plated crescent moon charm. 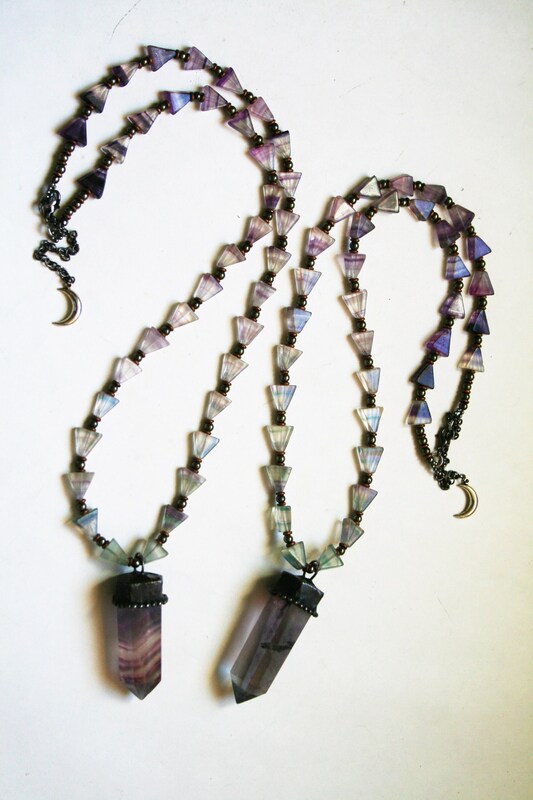 Pendants each hang approximately 2.5" 2.75" long, including the bails.